I decided to blog this comment someone left me. He is offering to counsel you and help prevent a break down in your marriage. I don’t have any association with him, and the disclaimers apply. All the same give it a shot if you need it. The main reason for our organization is to Save the Indian Family. One part of this is to try and save marriages. We are concentrating on fighting 498a and other barbaric laws, but I noticed that no one is concentrating on saving marriages. My wife had filed 125 and other cases 4 yrs back. She then resumed her affair (she calls it a ‘friendship’) and was talking of having a second child with him (she said it was a ‘joke’). I have the evidence to get a divorce and my 5.5 yr old sons custody. I’ve made my mistakes, I but I also realized my mistakes.We were counseled by our guru. I asked her what she wanted – cut all relations with him and return, or a divorce. I told her I am ready to take her back only if she is 100% sure she wants to return for love and not under any kind of pressure. She demanded a mobile, freedom to go anywhere she wants, etc and promised to be 100% committed to the relationship and break all contacts with him. So we gave our marriage one more chance, and we are happy now (don’t know about future, touch wood). Now even if she has this freedom I give her credit that she doesn’t misuse it and has changed to much extent. This is all psychology, if u suppress anyone, she is bound to rebel, but if u forgive her and give her love, trust and respect she will never betray you, this is jujitsu. Also if she still betrays you, you will definitely know one day and then you can end the relationship. 50% cases of this type are solvable if we forgive each other and have mutual respect for each other’s families. I had also posted link to the book “Stop your divorce” and other books. If anyone wants the link, or wants to talk to me for saving his marriage or any other thing, he is welcome to email me at loktantrax@yahoo … or IM me at yahoo messenger. The Prime Minister, Dr. Manmohan Singh chaired the first meeting of the National Council on Climate Change. The Prime Minister directed the Planning Commission to incorporate clean development strategies into the sectoral plans and proposals for the Eleventh Plan and to make a strategy to deal with climate change an intrinsic part of the Eleventh Plan strategy. The Prime Minister said that the Government would launch a major aforestation programme called “Green India” to convert six million hectares of degraded forest land into green areas. The Prime Minister also called for a long-term strategy to deal with glacial melting of the Himalayas. The meeting decided that a national strategy paper on climate change will be prepared before the end of the year. Participants at the meeting emphasized the need for funding research on impact of climate change including research on management of impact of droughts and floods on crop production and urban planning. Participants emphasized the vital importance of encouraging public transportation in urban areas, reducing dependence on fuel inefficient technologies. Emphasis was placed on collection of reliable data, funding of research for analyzing the data and implementation of practical programmes to improve energy efficiency and reduce wasteful use of natural resources. ON CHORABARI GLACIER, India — This is how a glacier retreats. At nearly 13,000 feet above sea level, in the shadow of a sharp Himalayan peak, a wall of black ice oozes in the sunshine. A tumbling stone breaks the silence of the mountains, or water gurgles under the ground, a sign that the glacier is melting from inside. Where it empties out — scientists call it the snout — a noisy, frothy stream rushes down to meet the river Ganges. D.P. Dobhal, a glaciologist who has spent the last three years climbing and poking the Chorabari glacier, stands at the edge of the snout and points ahead. Three years ago, the snout was roughly 90 feet farther away. On a map drawn in 1962, it was plotted 860 feet from here. Mr. Dobhal marked the spot with a Stonehenge-like pile of rocks. Mr. Dobhal’s steep and solitary quest — to measure the changes in the glacier’s size and volume — points to a looming worldwide concern, with particularly serious repercussions for India and its neighbors. The thousands of glaciers studded across 1,500 miles of the Himalayas make up the savings account of South Asia’s water supply, feeding more than a dozen major rivers and sustaining a billion people downstream. Their apparent retreat threatens to bear heavily on everything from the region’s drinking water supply to agricultural production to disease and floods. Indian glaciers are among the least studied in the world, lacking the decades of data that scientists need to deduce trends. Nevertheless, the nascent research offers a snapshot of the consequences of global warming for this country and raises vital questions about how India will respond to them. According to Mr. Dobhal’s measurements, the Chorabari’s snout has retreated 29.5 feet every year for the last three years, and while that is too short a time to draw scientific conclusions about the glacier’s health, it conforms to a disquieting pattern of glacial retreat across the Himalayas. A recent study by the Indian Space Research Organization, using satellite imaging to gauge the changes to 466 glaciers, has found more than a 20 percent reduction in size from 1962 to 2001, with bigger glaciers breaking into smaller pieces, each one retreating faster than its parent. A separate study found the Parbati glacier, one of the largest in the area, to be retreating by 170 feet a year during the 1990s. Another glacier that Mr. Dobhal has tracked, known as Dokriani, lost 20 percent of its size in three decades. Between 1991 and 1995, its snout inched back 55 feet each year. Similar losses are being seen around the world. Lonnie G. Thompson, a glaciologist at Ohio State University, found a 22 percent loss of ice on the Qori Kalis glacier in Peru between 1963 and 2002. He called it “a repeating theme whether you are in tropical Andes, the Himalayas or Kilimanjaro in Africa.” The Chorabari, sweeping down from Kedarnath peak across 2.3 square miles, is relatively lucky. It is blessed with a thick cover of rocks and boulders, which acts as a sort of insulation and slows the melting. Since Mr. Dobhal began collecting data here in 2003, the Chorabari has been shedding its weight — that is to say, melting faster than the rate at which snow and ice accumulates, and as a result, thinning out by roughly five feet each year. The snow line, in addition, is gradually moving higher. A vast and ancient sheet of ice, a glacier is in effect the planet’s most sensitive organ, like an aging knee that feels the onset of winter. Its upper reaches accumulate snow and ice when it is cold; its lower reaches melt when it is warm. Its long-term survival depends on the balance between the buildup and the melting. Glaciers worldwide serve as a barometer for global warming, which has, according to a report this year by the Intergovernmental Panel on Climate Change, been spurred in recent decades by rising levels of greenhouse gas emissions. Even the Himalayas have grown measurably warmer. A recent study found that mean air temperature in the northwestern Himalayan range had risen by 2.2 degrees Celsius in the last two decades, a rate considerably higher than the rate of increase over the last 100 years. In its report, the international panel predicted that as these glaciers melt, they would increase the likelihood of flooding over the next three decades and then, as they recede, dry up the rivers that they feed. “In the course of the century,” it warned darkly, “water supply stored in glaciers and snow cover are projected to decline, reducing water availability in regions supplied by meltwater from major mountain ranges, where more than one-sixth of the world population currently lives.” India’s public response so far has been to blame the industrialized world for rising emissions and resist any mandatory caps of its own. India’s per capita share of emissions is one-twentieth that of industrialized countries, the government points out, going on to argue that any restrictions on emissions would stunt its economic growth. And yet, as critics say, India’s rapid economic advance, combined with a population of more than a billion people, will soon make it a far bigger contributor to greenhouse gases. More to the point, India stands to bear some of the most devastating consequences of human-induced climate change. The dearth of scientific knowledge adds to the alarm. River flow data is so scant and recent that it is impossible for scientists to predict how the current rates of glacial retreat will affect river volume. To spend a couple of days with Mr. Dobhal, 44, a glaciologist with the Wadia Institute for Himalayan Geology, a government-sponsored research institution based in the North Indian city of Dehradun, is to understand why there is not more research on these glaciers. It is lonely, time-consuming work, equally demanding of body and mind. Mr. Dobhal’s days begin inside a tent, not particularly well-suited for such chilly heights, usually around 5:30, with prayers and a cup of hot tea. This morning’s journey is just above the base camp, to about 12,800 feet, where Mr. Dobhal must install a set of crude bamboo rulers to measure the undulations of the ice. The drilling machine in this case is a steady hiss of steam that comes out of a steam machine carried on the back and inserted into the glacier through a long, narrow pipe. Mr. Dobhal drives it slowly, expertly through the solid black ice, taking care to drill an absolutely straight 13-foot-long hole. When it is done, the bamboo pole slides in effortlessly. When he is finished, there will be 40 such stakes up and down the Chorabari, in the upper reaches where the ice accumulates in winter, all the way down to where the snout spills its meltwaters. Over the next months, the stakes will record the rise and fall of the ice — in other words, changes in the glacier’s total mass. Downstream, where the glacier’s meltwater becomes what is known as the Mandakini River, comes another set of crucial measurements. Six times a day, Mr. Dobhal and his aides, all ethnic gurkhas from Nepal, measure the depth of the water and the speed at which it flows. It is a remarkably simple experiment, like one you might do for a high school science fair. A square wooden paddle, attached to a string, is floated down the channel. A stopwatch measures how long it takes to travel 23 feet. “This will tell me how much water we are getting from one glacier and at different seasons — how much in summer, how much in winter, how much in the rainy season,” was Mr. Dobhal’s explanation. Think of the glacier as a bank account, Mr. Dobhal offered. If its total volume — as measured by the stakes installed in the ice — is “how much we have in the bank,” then the flow of the Mandakini is like the dividends being released for everyday use. Mr. Dobhal’s days follow a relentlessly measured pattern. Every day, he is back at the base camp no later than 2 p.m., which is when the risk of an avalanche grows. Even in summer, there are fluke snowstorms; one in late May kept Mr. Dobhal and his crew up all night, brushing snow off the tops of their tents. Tourists and trekkers rarely venture up to these heights. Every once in a while, a Hindu monk can be seen foraging for firewood. Mr. Dobhal met one last year, meditating inside a cave. Even the wildlife is limited to bears and mountain rats. Most evenings are spent listening to a transistor radio broadcast around a campfire. Financing, too, is limited. This year, Mr. Dobhal said he dug in his own pockets to buy winter socks for his aides. Over the coming months, barring an avalanche that could tear them down, the stakes will chronicle the changes in the glacier. At the end of summer, Mr. Dobhal will return to the base camp to see how far the ice has shrunk, and again, he will come when winter sets in, for another set of measurements. The fate of the Chorabari glacier will slowly, painstakingly be revealed. In 1930, the British govt arrested 17,000 women for their involvement in the Dandi Yatra (Salt March). During 1937 to 1947 (10 Years), they arrested 5,000 women involved in the freedom struggle. 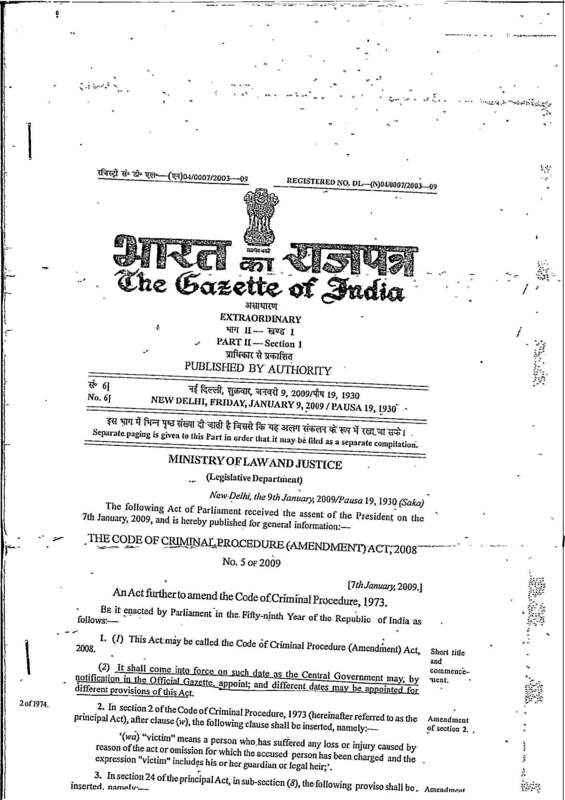 From 2004 to 2006, the govt of India arrested 90,000 women of all ages under 498A. On the average, 27,000 women per year are being arrested under this flawed law. These are stats from the NCRB. The content of this blog is copyrighted. You are required to obtain prior permission before locally hosting or reproducing online or in print, any or part of the content. You are welcome to directly link to the content from your site. The family of the writer was tortured by the Indian Police in an attempt to extort over a $100,000 by holding them in custody for over a week. The police, in cahoots with the magistrate and the PP, did this due to the ridiculous allegations made in a 498A case by his embittered ex-wife. She filed the case years after he and his family had last seen her. Thousands of 498A cases are filed each year in India by women seeking to wreak vengeance on their husbands and in-laws. Enormous sums are extorted from intimidated families implicated in these cases by corrupt Indian police officers and elements of the Indian judiciary. The author and his family haven't bribed any public official nor have they given in to the extortion. This blog aims to raise awareness of due process in India. The content of this blog constitutes, opinions, observations, and publicly available documents. The intent is not to slander or defame anyone or any institution and is the manifestation of the author's right to freedom of expression – with all the protections this right guarantees.